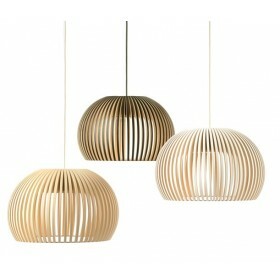 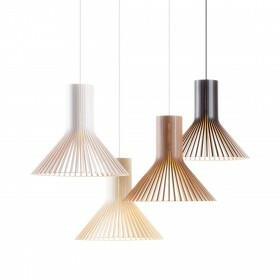 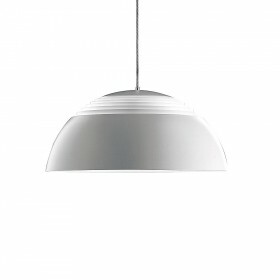 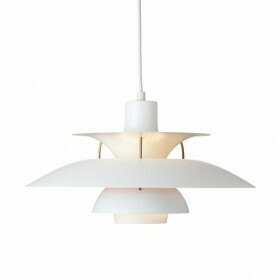 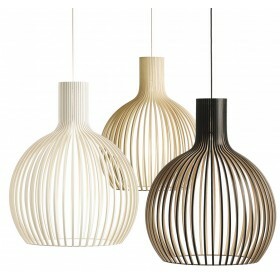 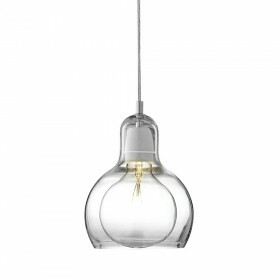 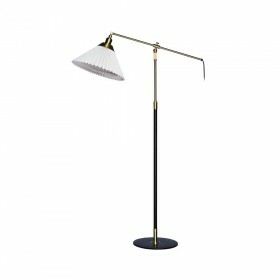 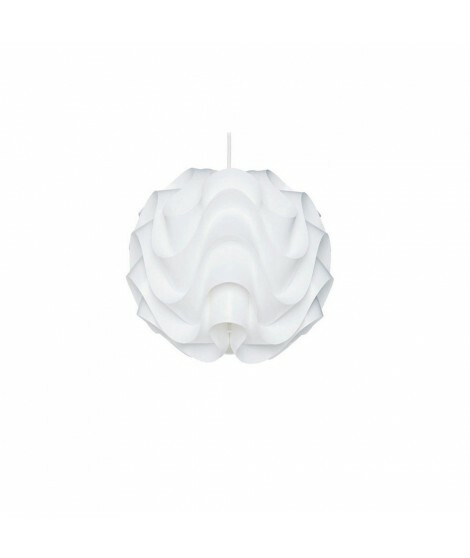 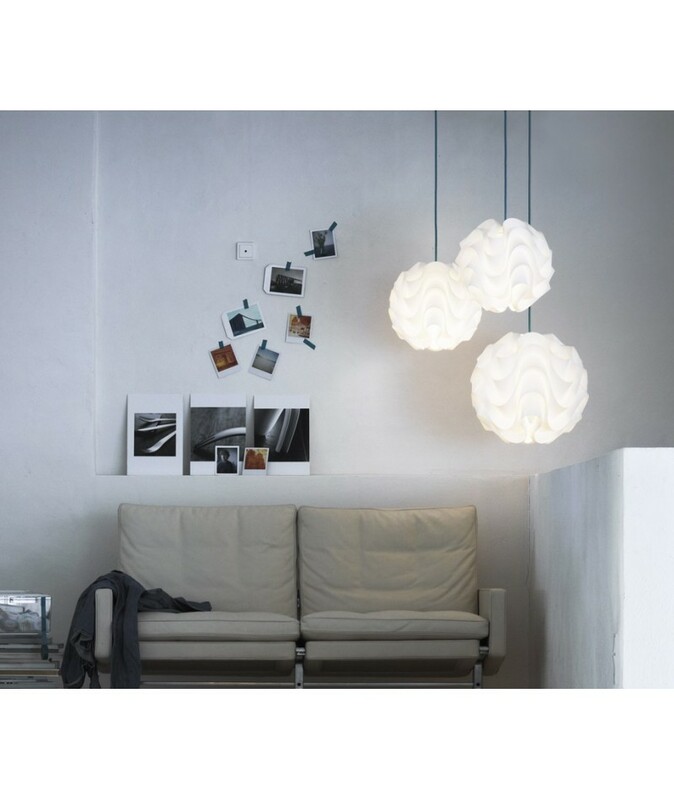 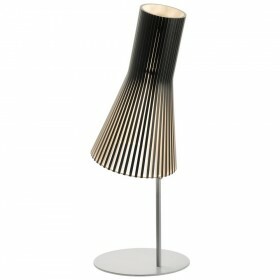 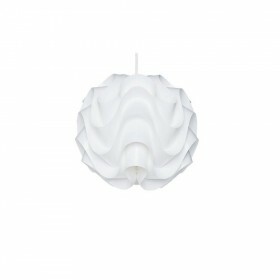 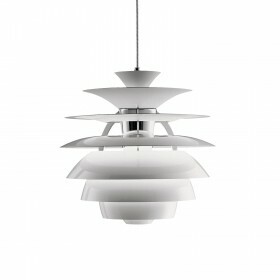 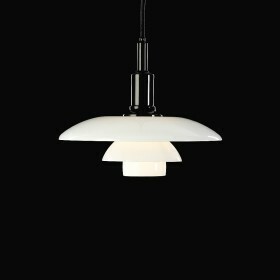 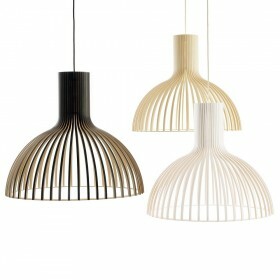 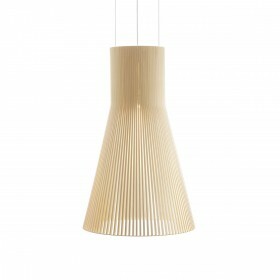 The Klint 172 pendant was designed by Poul Christiansen in 1971. 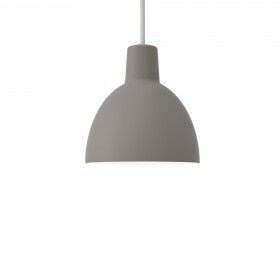 Other sizes were later added to the range, as recently as 2009. 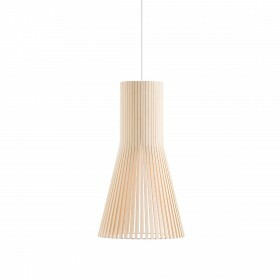 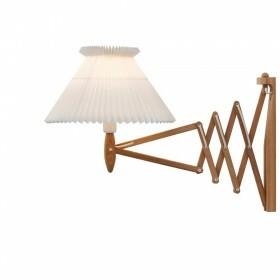 The production process takes place in compliance with Danish craftsmanship traditions. 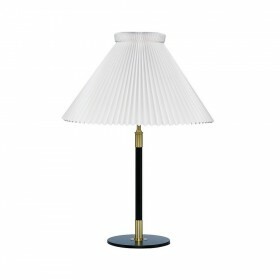 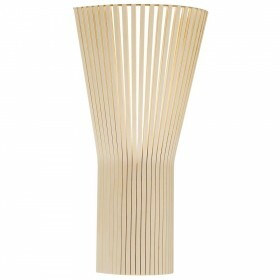 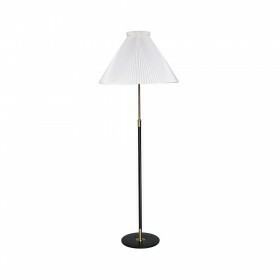 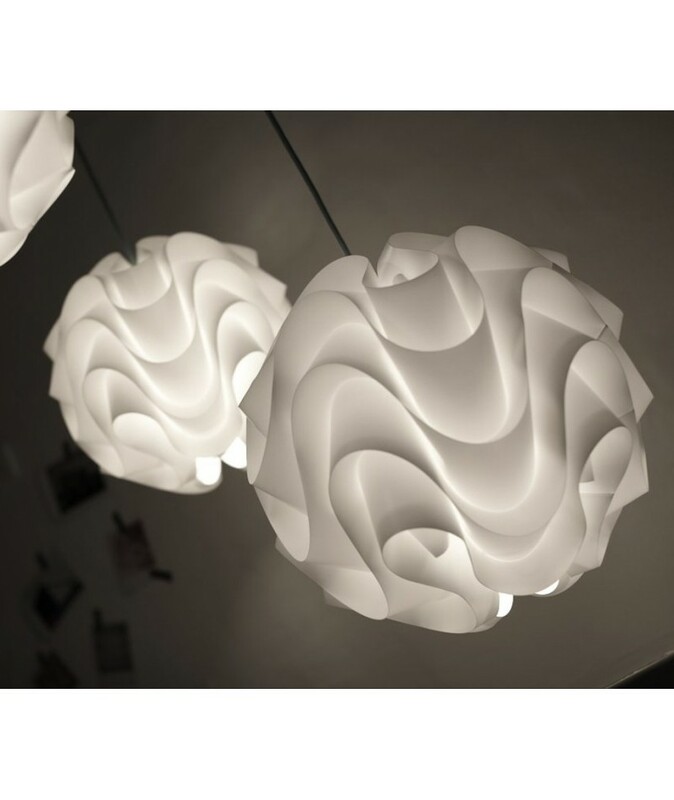 The white PVC shade is first pressed with the desired shape, then hand-pleated in order to achieve its three-dimensional form. 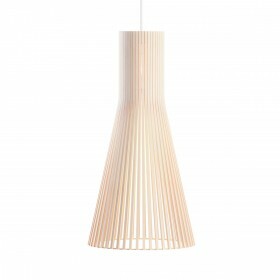 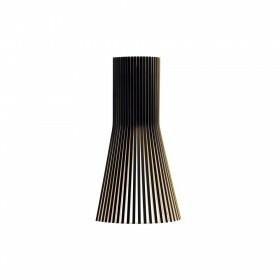 The unique pleating techniques are a well-kept secret in the Klint factory in Odense, Denmark, where a vast majority of the lampshades are still fully handmade and of exceptional quality. 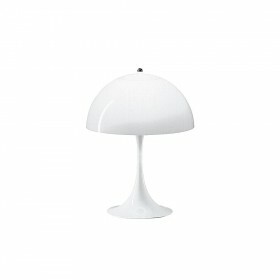 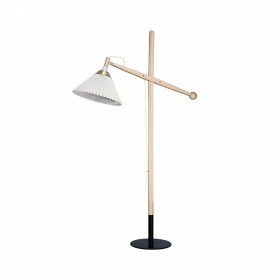 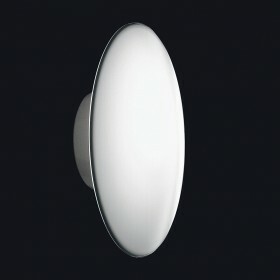 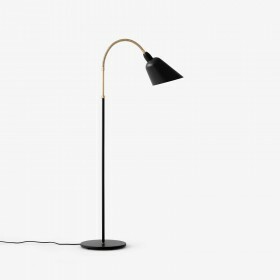 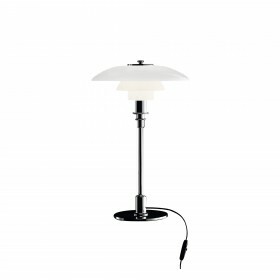 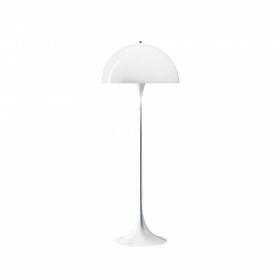 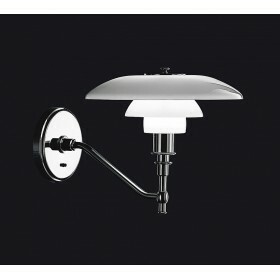 The lamp is both washable and antistatic.